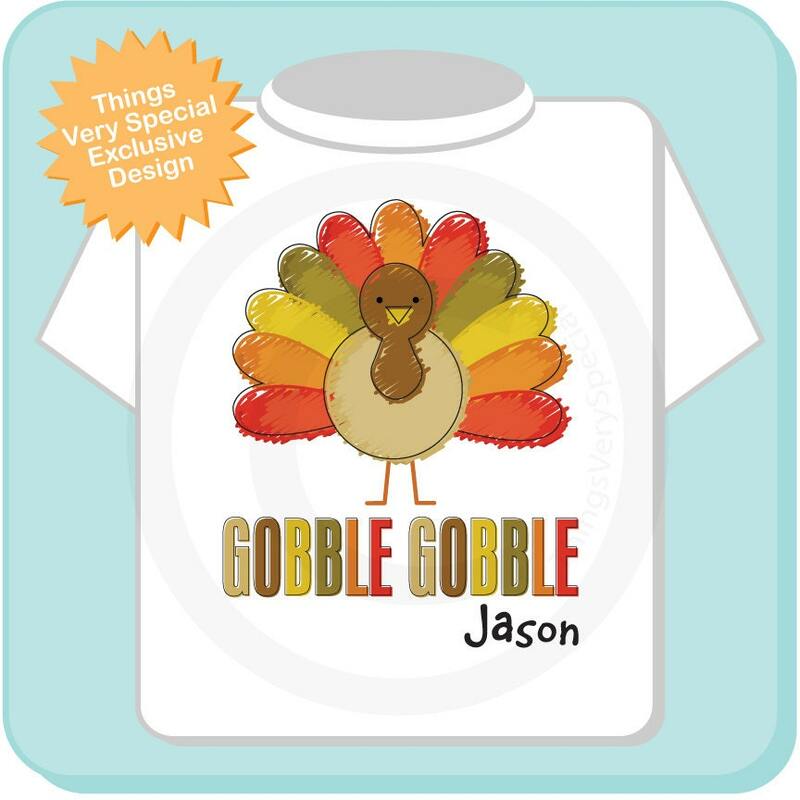 Super cute Gobble Gobble Turkey tee shirt or Onesie with awesome Thanksgiving Turkey and colors. 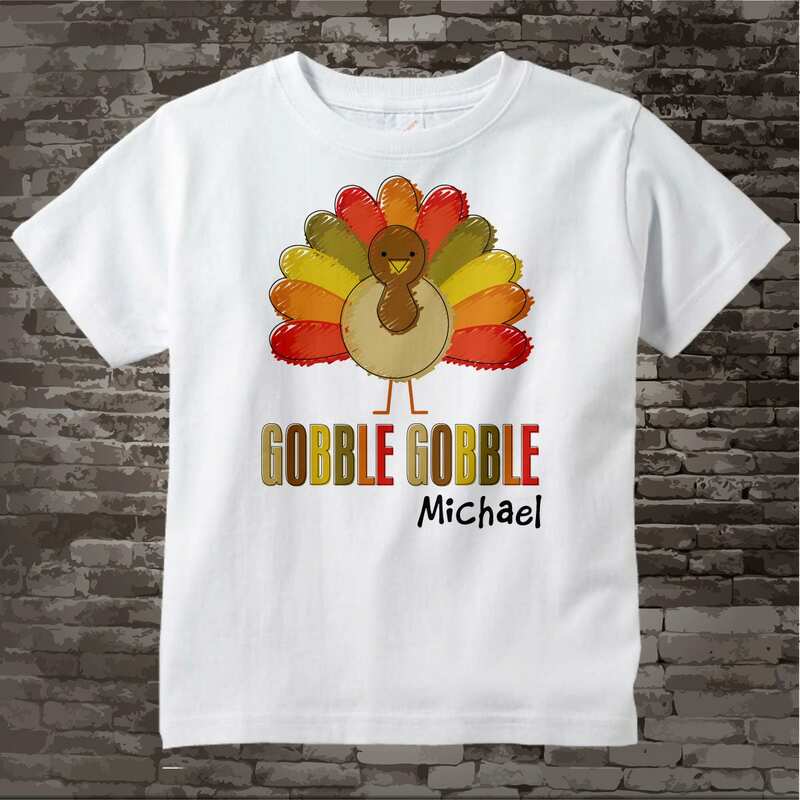 This item is personalized with the child's name. Fast shipping and processing. Very nice print on shirt. Cute design. Just Fabulous, great turn around and loved the care instructions!